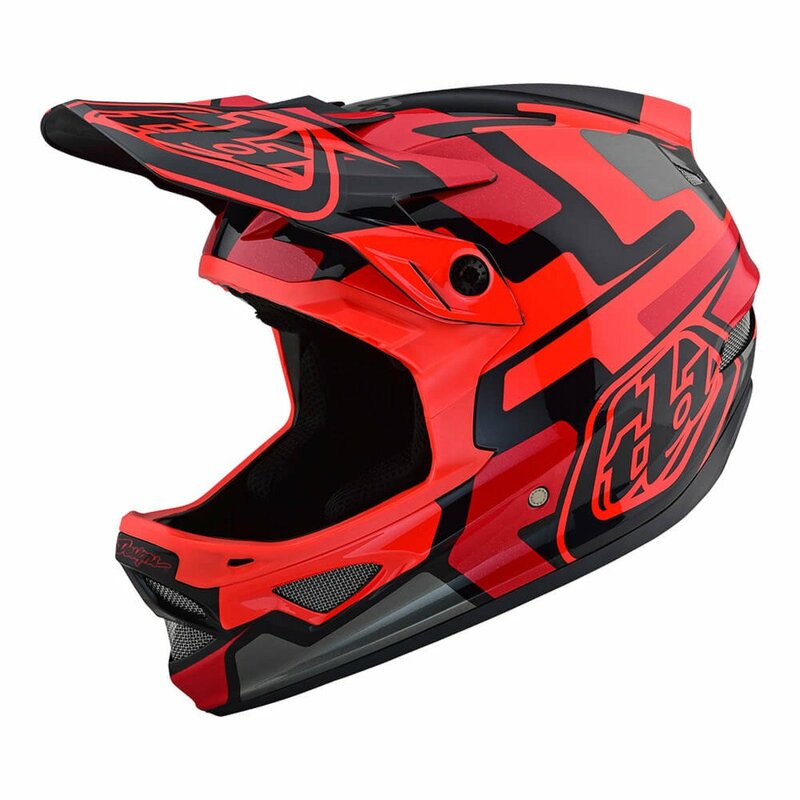 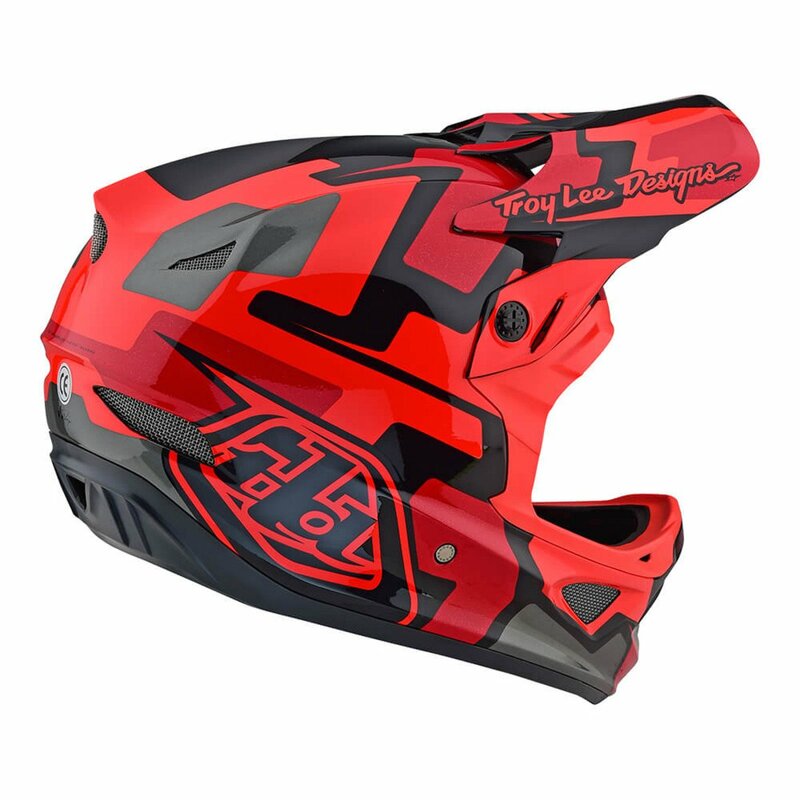 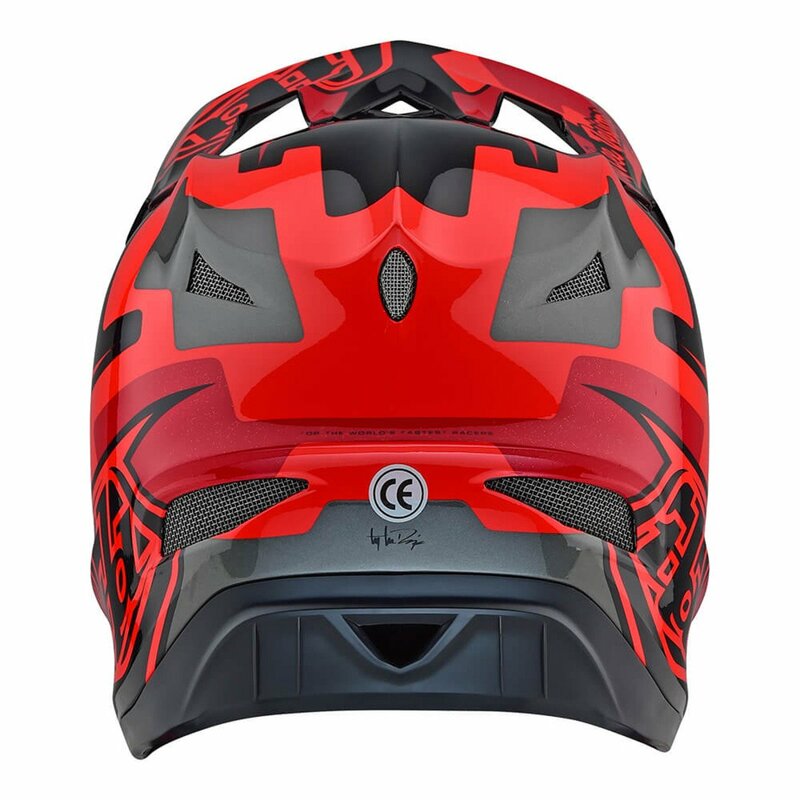 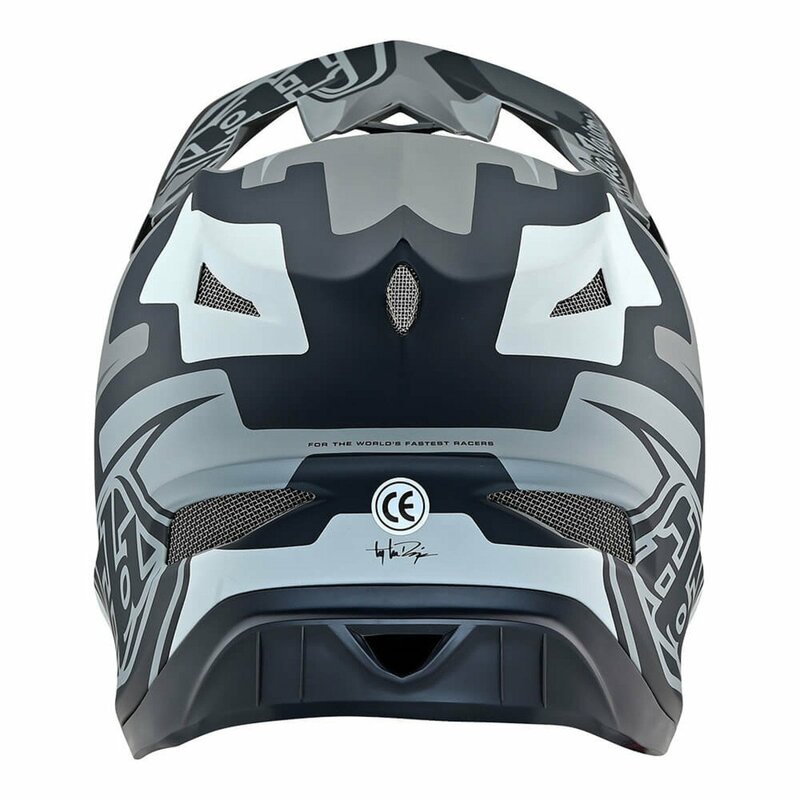 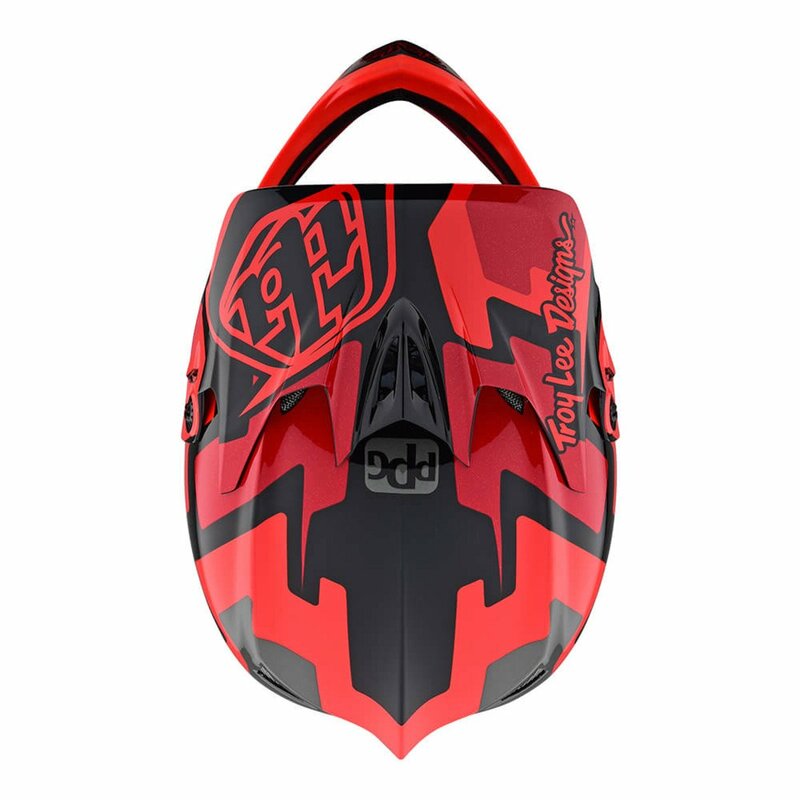 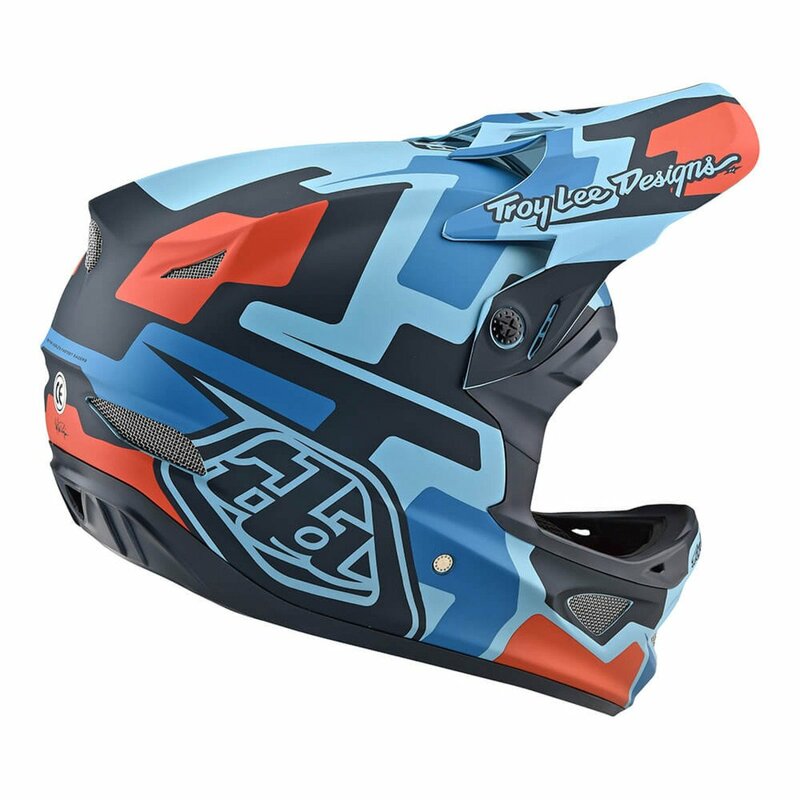 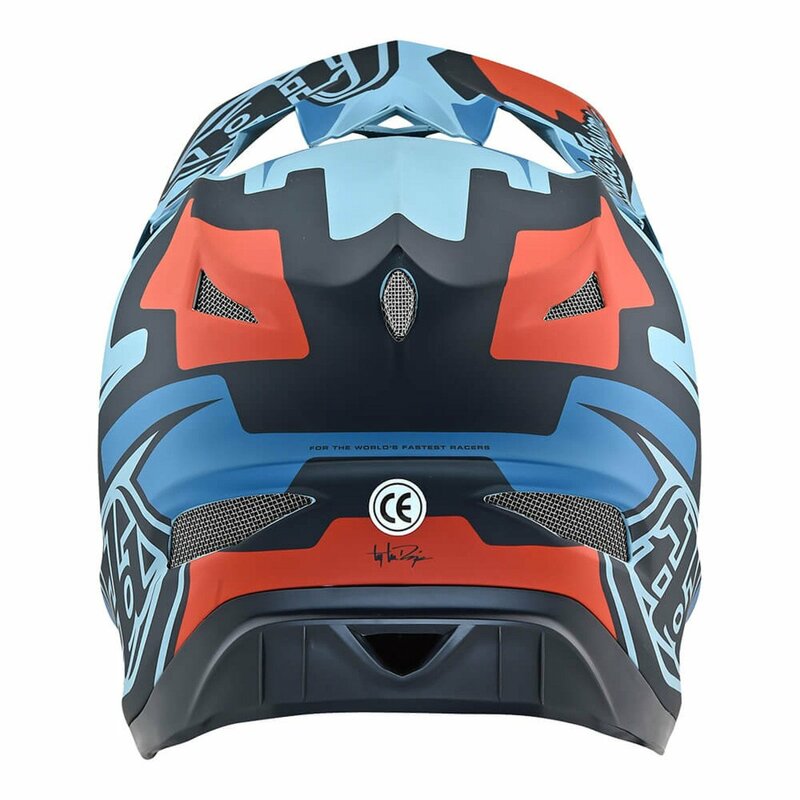 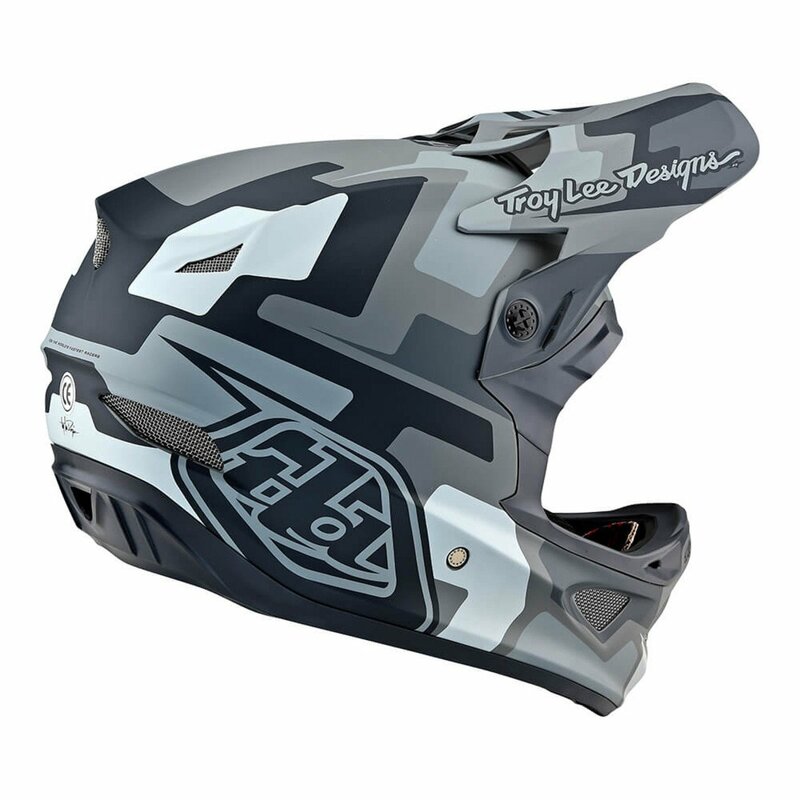 The Troy Lee Designs D3 Fiberlite Speedcode features a lightweight fiberglass shell construction crafted following the Troy Lee Designs blueprint, ensuring safety and flaunting style. It also comes with 2 adjustable visors for custom height placement, and specially-sized contoured cheek pads for the ultimate comfort while you send it! 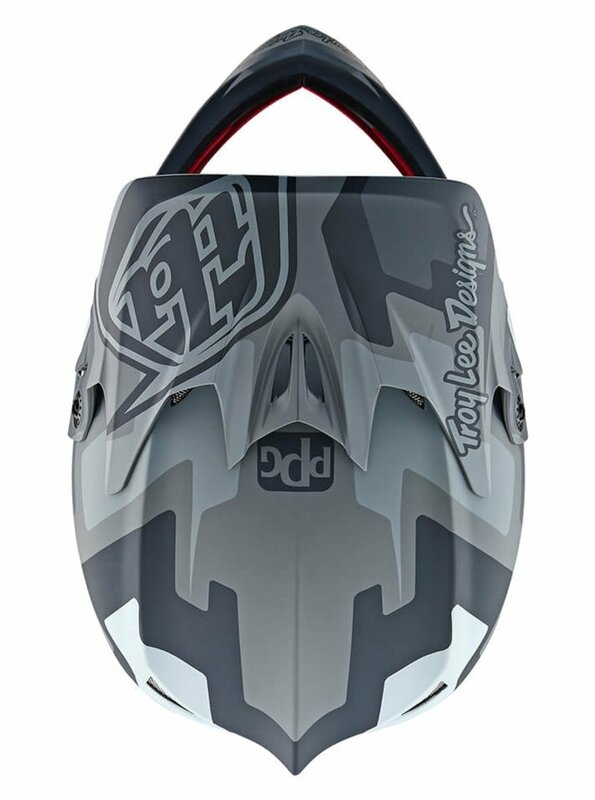 The D3 takes advantage of a dual density shock pad system that helps absorb smaller impacts, withstand multiple hits, and add more durability to the single impact absorbing EPS liner. 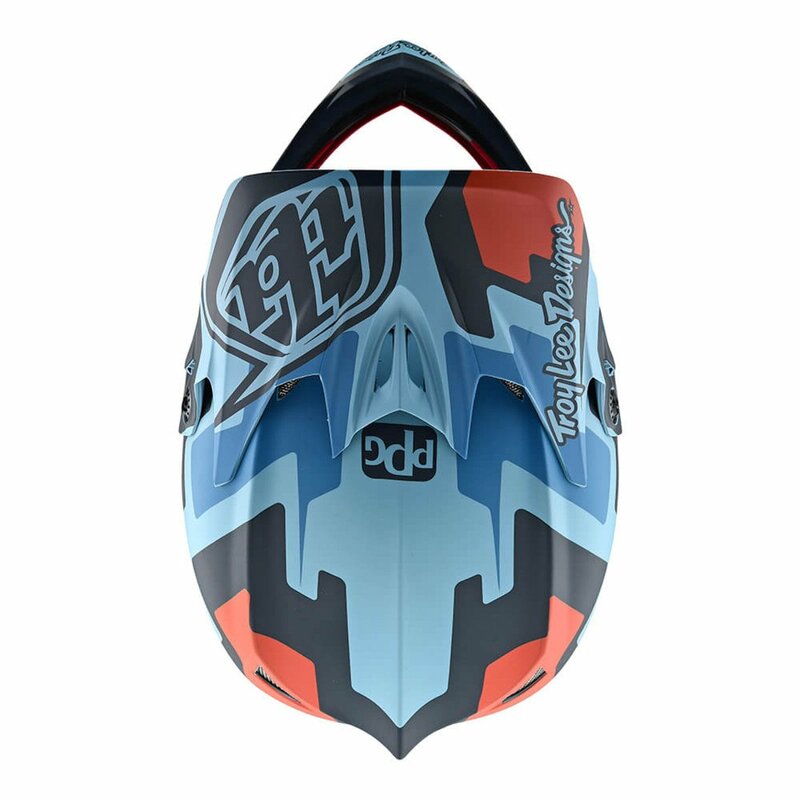 Taking breathability and airflow to the next level, the D3 Helmet features 14 intake ports over the forehead, brow, and chin areas to guide air past your head, while the 6 high-flow exhaust vents release hot air ensuring an even flow of cool air throughout the helmet's interior.